This Season brings to you a wide range of fashionable blue ribbed Denim Kurtis, with cotton fabric patch. 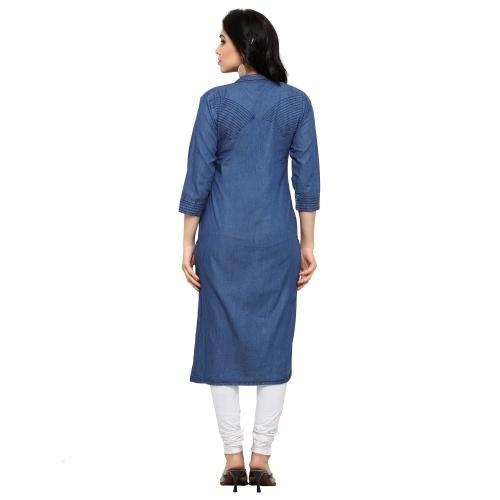 Team them up with a pair of contrast bottoms, flats and jewellery for a classy look. 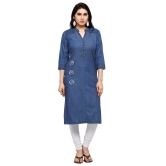 Blue Denim kurti with stitched pattern detail, a long button placket, three-quarter sleeves, side slits . 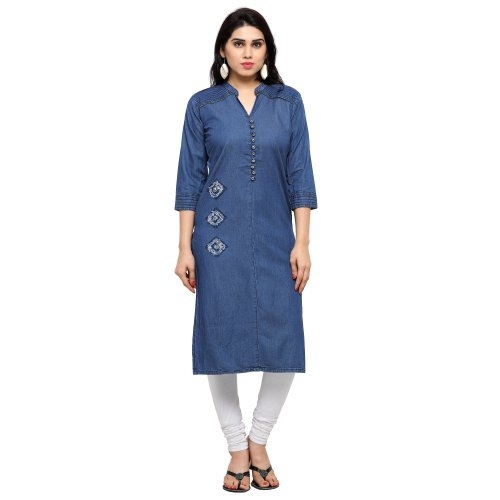 Kurti Dimension (Inches) - Kurti Length- 43', **Wash Care**- Wash Dark Colour Kurti Separately, Do Not Bleach, Regular Wash, Regular Iron, Dry in Shade. ***Important***:- Please refer to the size chart before ordering.